Today we begin a series of previews of the four categories featured in MDK March Mayhem. 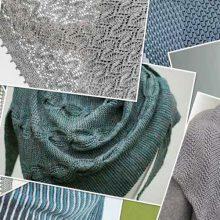 The more time we spend with all these patterns, the more we want to knit them. We hope you have the same experience. And such an international array of designers. 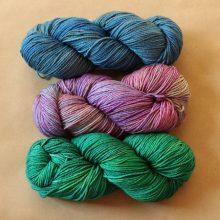 The yoke sweater is the Esperanto of knitting: we can all communicate via our festively colored handknits. 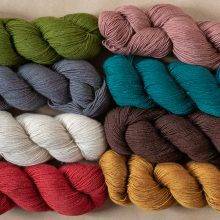 What you see here is a magnificent array of pullovers that begin with a simple idea—a pattern around the neck—taken to ingenious and surprising places. 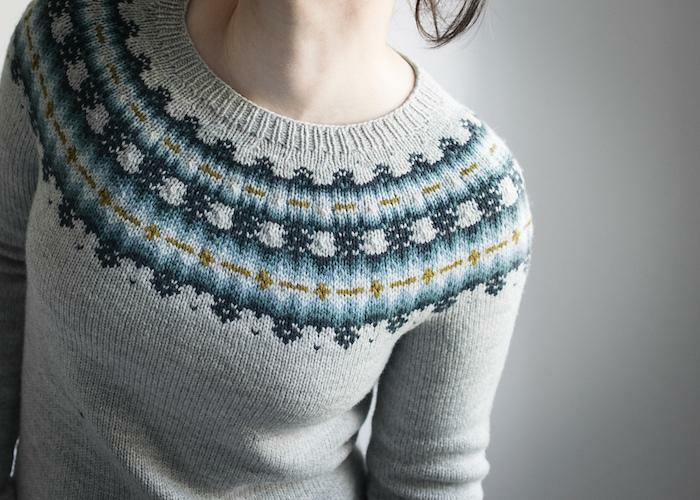 We want to make all these sweaters. We are delighted and amazed. Reminder: Round 1 voting begins Thursday, March 15. 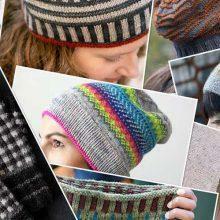 Have a great time with these patterns—the pattern name links to the pattern’s Ravelry page. 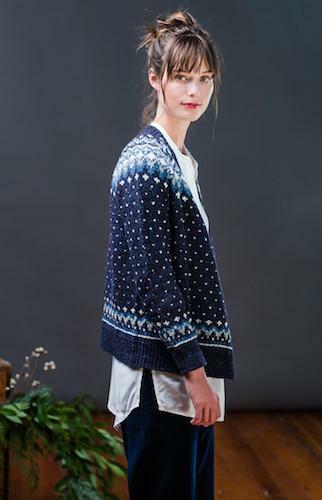 This yoke evokes the geometric shapes of patchwork and Japanese sashiko embroidery patterns. You will definitely need visibly mended jeans to wear with this. A worsted weight, deep-v-neck cardigan that is thoroughly modern, smartly constructed and very stylish. 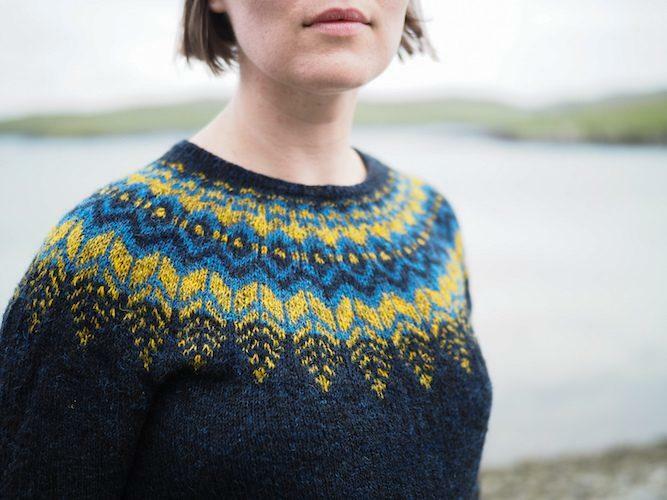 In Jamieson and Smith 2 ply Jumperweight, so you know it’s proper Shetland. The lowered neck, partial raglan shaping, and geometric folklore motif freshen up the classic form. 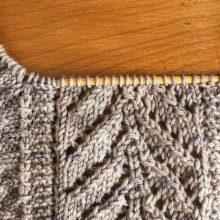 The strip of lace in the yoke is a stroke of brilliance from a great yoke designer. 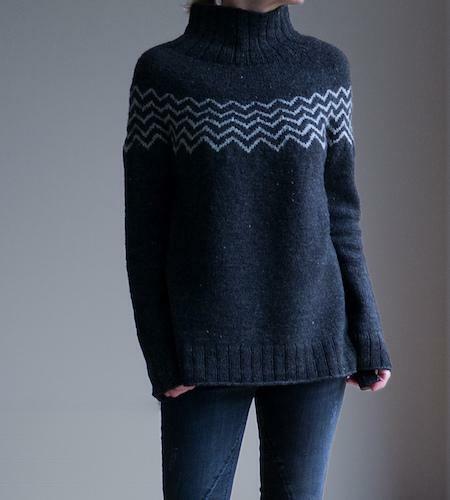 An eminently wearable slouchy pullover from a master of slouchy pullovers. 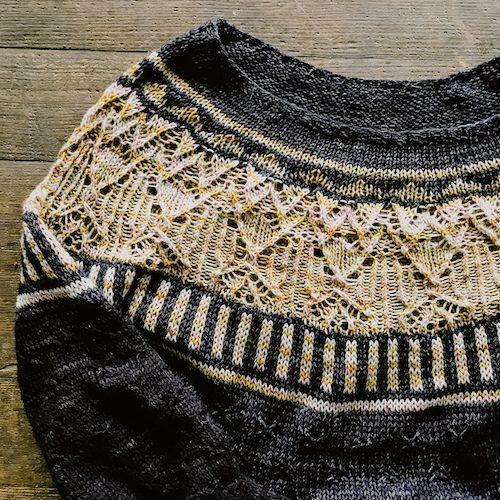 Laceweight gauge turns a traditional Icelandic lopapeysa into a sweater that recalls the luminous yokes of the Bohus stickning knitters. 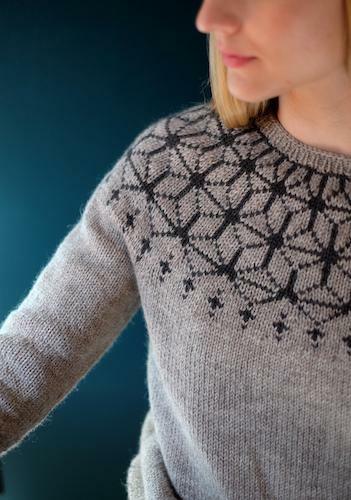 What if the yoke motif were in cables instead of colorwork? 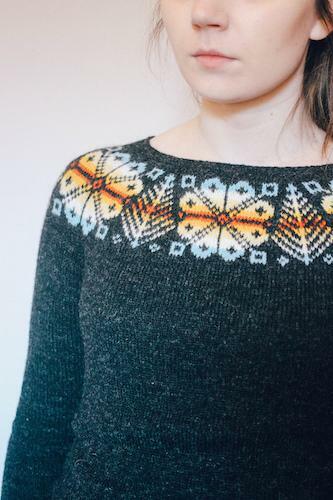 This pullover is a lovely answer to that question. The slouchiest of the slouch shapes, with a monochrome yoke pattern that just keeps going all the way down the sweater. 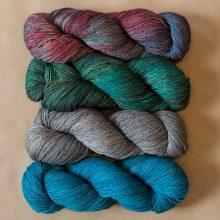 Let a beautiful, slow-changing colorway do the work for you. 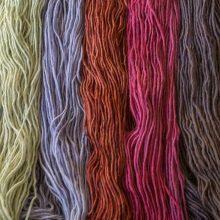 The purls hiding in this yoke add extraordinary texture. 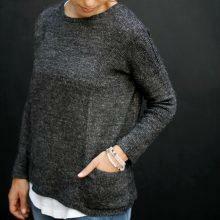 A low-slung yoke and tunic-ish shape make this pullover wearable and wantable. Lovely loose shape. We are suckers for grellow but this sweater would be lovely in many two-color combos. 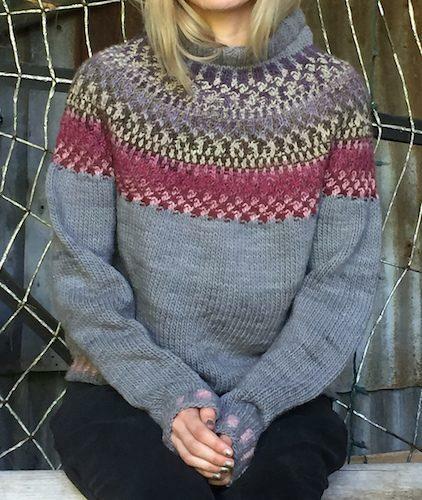 A worsted weight pullover with modern feather yoke motif, clean neckline and nice details like short rows and optional waist shaping. In this easygoing top-down pullover, the yoke pattern melts delicately into the body of the sweater to avoid a sharp line across the chest. It’s hard to resist the adorableness of a sweater that is sized from newborn all the way up to adult 4XL. This is a cute classic for all ages. The taste of Bohus at a sport weight gauge. 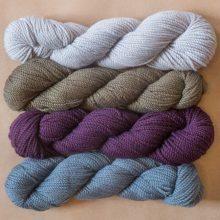 The lovely fading in the color work of the sample is key here. 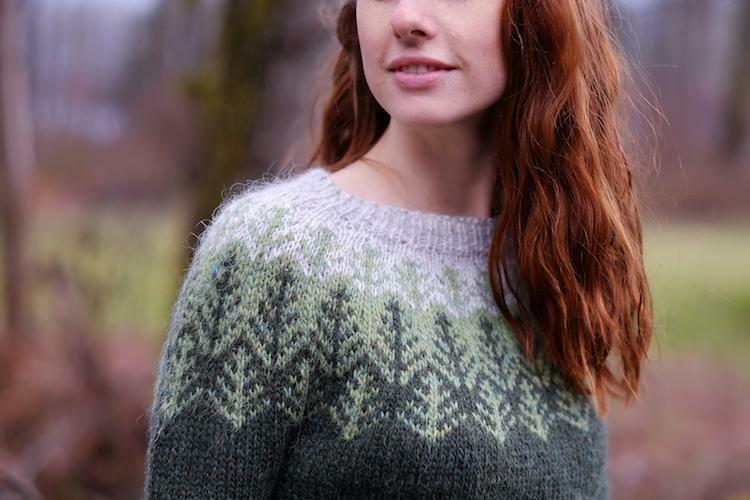 Three tiers of pine trees in a face-framing yoke. 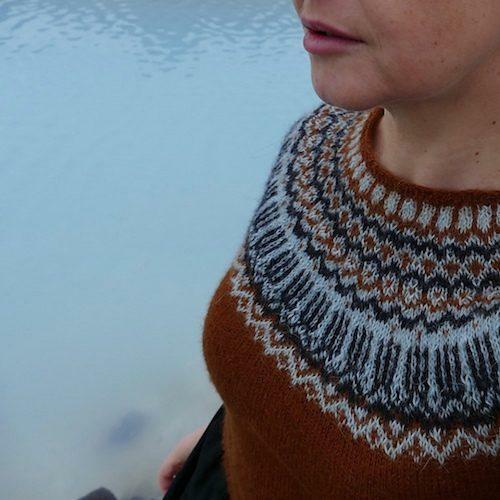 Worked the traditional Icelandic way, which makes it speedy. 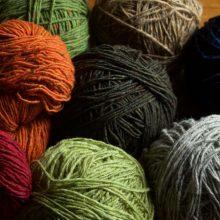 The MDK Shop is awash in special yarns that make beautiful sweaters. 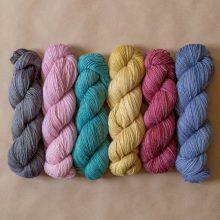 I have yarn for the Noux, but this makes me itch to knit all the yokes. where is birkin? Does it get a category all to itself? I believe they only have one nominee per designer – no double chances to win the tournament 😉 And Birkin is by Caitlin Hunter, whose Zweig is listed here! They have be released in 2017 as well. I think Birkin was inlast years Bracket. Love Humulus but Monochrome does it for me with the slouchy look. This competition is going to be tuff! 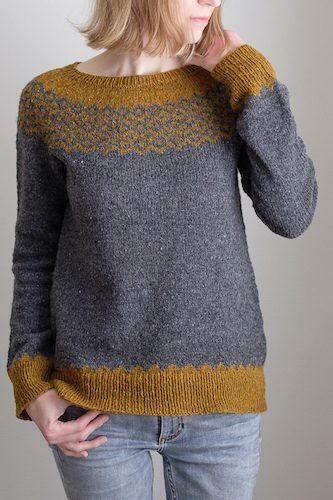 Hmm, some would take more time to create than others, but if I start with the top one and knit my way down the list, I might get them all finished in this lifetime, lol! Ha ha I’ll say art at the bottom and meet you halfway in ten years!! Augh! So hard to choose! 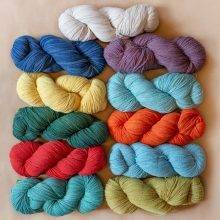 Thank you for the yoke-y excitement, Stopover changed me from committed-to-cardigans into a pushover-for-pullovers. Noux and Humulus are really great. Love the relaxed feeling in both. 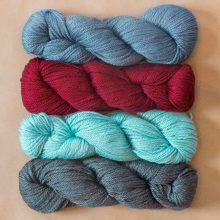 Having trouble finding a yolk sweater for yowza from Rhinebeck. 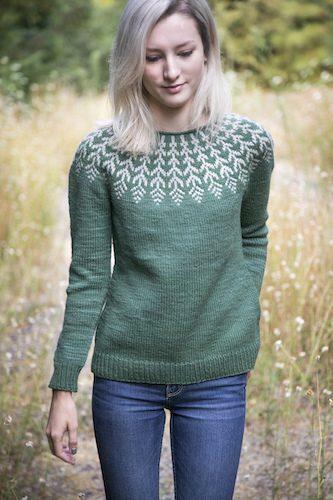 I’m told it’s a worsted that knits up like a dk. Any recommendations? Hard to choose, hard to choose…. Fern & Feather and Dog Star are so cool! 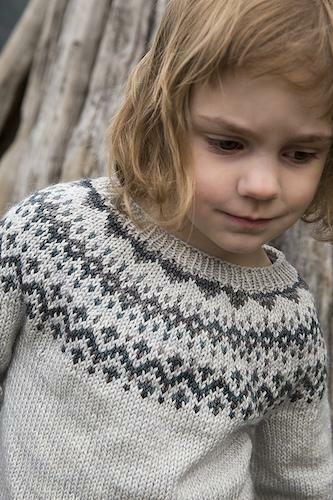 But I’m just about finished a top-down, in-the-round Fair Isle number for my daughter which has had many teeth-grinding moments, so maybe some downtime (with Carbeth perhaps?) 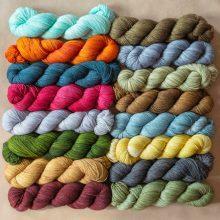 before I embark on a yoked number…..
What a grand selection of lovely sweaters! Humulus caught my attention the first time through and yes, still the ‘one’ on the second run! Certainly it couldn’t have anything to do with being a brewery necessity?! Oh . . . that one strand of color around the wrist! 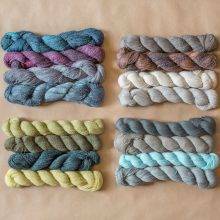 I followed the links to Ravelry to see what others have knit with these patterns. particularly with respect to color choices. 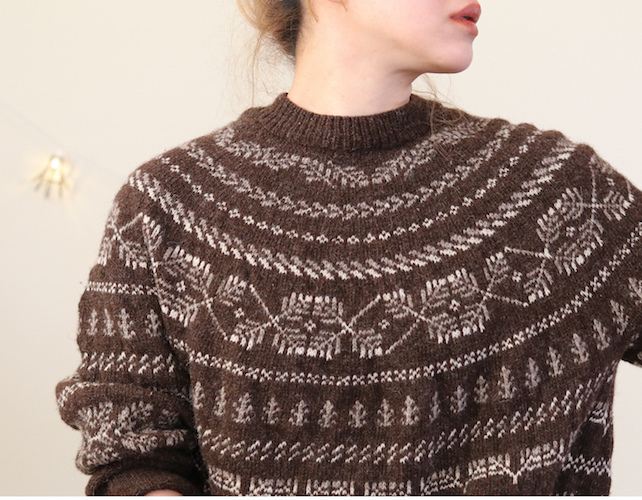 That can completely transform a sweater pattern! 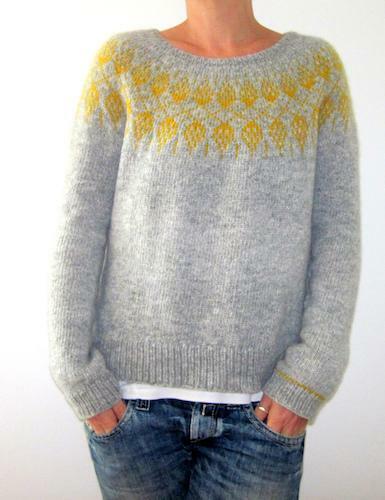 Love the yoke sweaters!!! Still getting the courage to try one of my own.